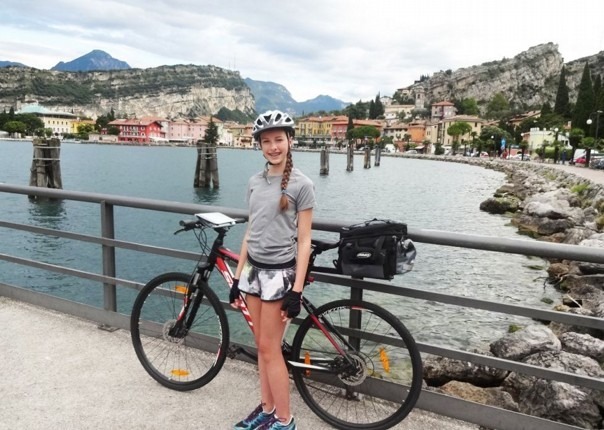 New for 2014 we have created this supported family cycling holiday in Italy, taking you from Lake Resia on the Austrian border all the way to the northern shores of Lake Garda. It's a great opportunity for you and your family to explore the beautiful countryside routes of northern Italy. You will be provided with route notes and maps and will be guiding yourselves along with other families, so it's a great way for the kids to make some new friends and take some responsibility for leading the way! You will however have the comfort of a support vehicle for the duration of your route to assist if any of the little ones need a rest or an uplift. You will be riding through some of Italy's most beautiful towns (Trento and Bolzano) with lots to see and do along the way for kids and adults alike. For the adults, day 4 will see you riding through “La Via del Vino” where the “Gewürztraminer” white and “Kalterer See” red wines originate and for the kids, day 7 will allow for some fun on the water on Lake Garda with an abundance of watersports to choose from. Accommodation during your journey will be in a selection of quality hotels and a warm welcome will be waiting for you on arrival at your first accommodation. We book all your accommodation, transfer your luggage, provide you with cycling routes, a detailed itinerary and a support vehicle .. with breakfast and delicious picnic lunches thrown in for good measure! The post Customer Story: Bike, Boats and Pizza appeared first on Skedaddle Blog.